For motorcycle riders, the highways and backroads throughout Camden and Burlington counties and across New Jersey represent freedom. Getting from here to there on your bike – whether commuting to work, doing errands or simply taking in the scenery alone or with buddies – is a feeling second to none. If you agree, you’re in good company with more than eight million other bikers in the United States. However, when your ride is cut short due to another driver’s negligence, injuries suffered in a motorcycle accident can be life-altering, even fatal. If you or someone you love has been in a motorcycle crash in Cherry Hill, Voorhees, Marlton or anywhere else in South Jersey and is suffering with severe injuries, or has paid the ultimate price and suffered wrongful death, contact an experienced personal injury lawyer right away. 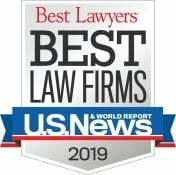 The award-winning, unstoppable motorcycle accident attorneys at The Law Offices of Andres & Berger, P.C. will take on your fight and work tirelessly to hold the driver who caused your accident fully responsible for your injuries. Make no mistake about it, when a motorcycle collides with another motor vehicle, whether a car, truck, bus or even another bike, the resulting injuries can be catastrophic for a motorcycle rider on South Jersey roads such as the New Jersey Turnpike, the Garden State Parkway, routes 295, 70, 38 or 42, or the Atlantic City Expressway. Simply put, that’s because automobiles, tractor trailers and commercial trucks or school buses are so much bigger and heavier than a motorcycle. , Also, motorcyclists are not protected by tons of metal like other motor vehicle drivers. The National Highway Traffic Safety Administration (NHTSA) reported that almost 5,000 people died as a result of biker crashes in 2013 (the most recent year of compiled statistics ). Approximately 90,000 more people were seriously injured in collisions involving motorcycles. While those numbers reflect all the bikers, drivers and passengers involved in those motorcycle accidents, the NHTSA maintains motorcyclists are 26 times more likely to be killed in a crash and five times more likely to be seriously hurt than the occupants of another motor vehicle. 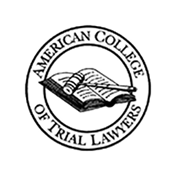 When motorcycle accidents happen in Mercer, Ocean and Monmouth counties, the resulting catastrophic injuries may require significant medical treatment, including surgeries, ongoing rehabilitation, possibly permanent disability and even wrongful death. Injuries can include traumatic brain injuries, spinal, neck and head trauma, broken bones, cuts, lacerations, amputations, internal injuries including severe bleeding, paralysis and more. Don’t suffer in silence. 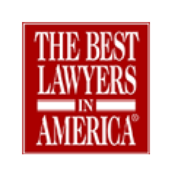 The battle-tested lawyers at The Law Offices of Andres & Berger, P.C. will fight for maximum compensation for your injuries when you’ve been hurt in a motorcycle accident. We never back down from a fight, and insurance companies know this all too well. 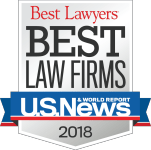 We’ve won millions of dollars for our clients, including $6,500,000 in compensation for the family of a motorcyclist killed when a car ran a red light and hit him. 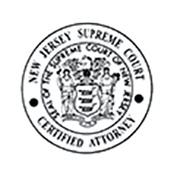 Our law office is located in Haddonfield, NJ, but our firm is well known throughout New Jersey for being skillful negotiators and tenacious litigators. We’ll fight hard for your family, too. Working with accident reconstruction specialists to determine exactly how and why your accident occurred. Reviewing police reports and interviewing all witnesses to make certain we have a full picture of what transpired that caused your injuries. 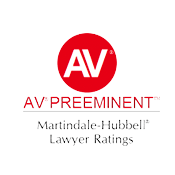 When The Law Offices of Andres & Berger, P.C. 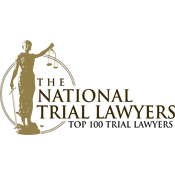 take on a personal injury case, whether a motorcycle accident case, a slip and fall, a premises liability mishap or a medical malpractice lawsuit, we do so promising to fight tirelessly to get our clients maximum compensation. There is no question that injuries sustained in a motorcycle crash can change your life forever. You may not be able to return to work. You may not be able to enjoy the activities you once did. Simple tasks such as walking, eating and bathing on your own may be difficult or impossible. Depending on the injuries suffered, you may have lost a limb or your ability to see or hear. We understand that you want to hold the responsible party liable for your injuries. You want justice and you deserve compensation. The Law Offices of Andres & Berger, P.C. will help. Contact us right away to request a free consultation about your motorcycle accident. Tell us what happened and we will discuss how we will put our knowledge and experience to work for your family. The consultation is free and there are no upfront legal fees. We only get paid if we collect money for you by settlement or jury verdict.